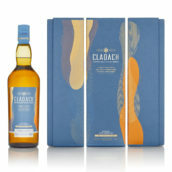 Home WHISKY & WHISKEY Lagavulin Presents Islay Jazz in London! 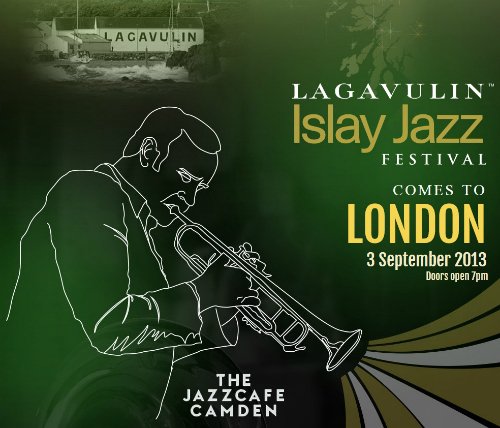 Lagavulin Presents Islay Jazz in London! 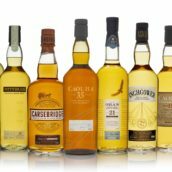 10 Comments on Lagavulin Presents Islay Jazz in London! 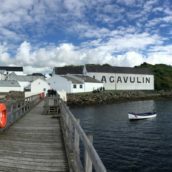 Lagavulin have sponsored the festival since 2010 and for the last few years the distillery has released a special commemorative bottling to celebrate this fact. These have generally been sherry monsters (very unusual for the distillery) and are highly rated by the critics and highly sought-after by collectors. Now, the only problem with this abundance of excellence, of course, is that it all happens over on Islay (September 13th-15th this year) and, for many fans who’d love to be there, it can be rather difficult and expensive to get to. But fear not! For those fans of Lagavulin and / or jazz who can’t make it to Islay but are able to get to London, The Whisky Exchange Whisky Show, Jazz FM, Lagavulin and the Islay Jazz Festival have worked up a very special treat. For one night only, on Tuesday 3rd September, Islay Jazz will be coming to London, with a fantastic line-up of modern jazz at a great venue: the legendary Camden Jazz Café. London’s whisky-loving jazz fans will be treated to brilliant music and some delicious whisky at the event. Music for the evening will be provided by a pair of Scottish-led contemporary jazz combos: The Colin Steele Quintet, who play Scottish folk-tinged jazz and are led by trumpeter Colin Steele; and Trio Red, a more improvisational group experimenting with musical storytelling, who are led by the Scottish drummer and composer Tom Bancroft. 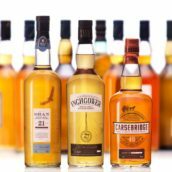 Islay Jazz in London’s lucky attendees will also be able to sip on a variety of Lagavulin creations, including a Lagavulin aperitif, the famous 16 year old and, best of all, a very special Lagavulin cocktail made by bartending maestro Ryan ‘Mr. Lyan’ Chetiyawardana, whose latest project ‘White Lyan’ is about to revolutionise London’s cocktail scene once again (more details on the blog at a later date, hopefully soon). So, if you know your Bird from your Blakey, can get to London next Tuesday and like a drop of Islay whisky, now is not the time to be hanging around (daddio). There are still a few tickets for this superb event available, priced at £25 here. There’s also some VIP tickets left if you fancy giving yourself a proper treat – these include a seat on the balcony for the gig, plus a main course from the Jazz Café’s menu on top of all the stuff mentioned above. Here at TWE, of course, we can stroke our chins while discussing the merits of augmented fifths with the best of them, so don’t be surprised if there’s a few TWE types in the audience on the night (but please don’t let that put you off, they’ll be very well-behaved). You can read more about this unique event and buy tickets here – get ’em while they’re hot. Many thanks to our colleagues at The Whisky Exchange Whisky Show and our friends at Jazz FM and Lagavulin for arrangeing this great event. And speaking of TWE Whisky Show, I’m told that tickets for the Sunday session are now running pretty low (Saturday tickets sold out quite some time ago). They’re down to the last few dozen, so if you miss out don’t say you weren’t warned! You can pick up your tickets here if you haven’t done so already. 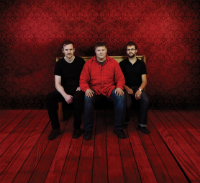 RT @TWEBlog: New blog post – Lagavulin Presents Islay Jazz in London! : http://t.co/05Zaz8Hh8B <– Nice.